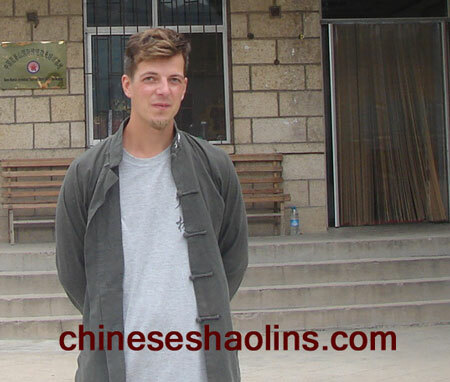 I decided to come to China and study Kungfu because I wanted something different in life, something that I I could not find in the western countries. My greatest gain from the martial arts training is the knowledge of Wingchun and how to condition my body. I am also happy to have learned the Chigong fasting method which I will continue to practice once a year to clean my body.I got influenced by some students who in my mind were excellent students,that are very good. To summarize my experience the training at kunyu mountain academy has been great ,the training is of very high level. The masters are very sincere, honest and having all the good qualities that I would expect from a master. And with the amazing surroundings with high mountains and temples and waterfalls, it’s easy to get in the right mode for meditating traing and trying to become a better person. My year here has been one of my best and I will go home. A different man being with me exotic knowledge that can help me on my path. I will truly miss this place.